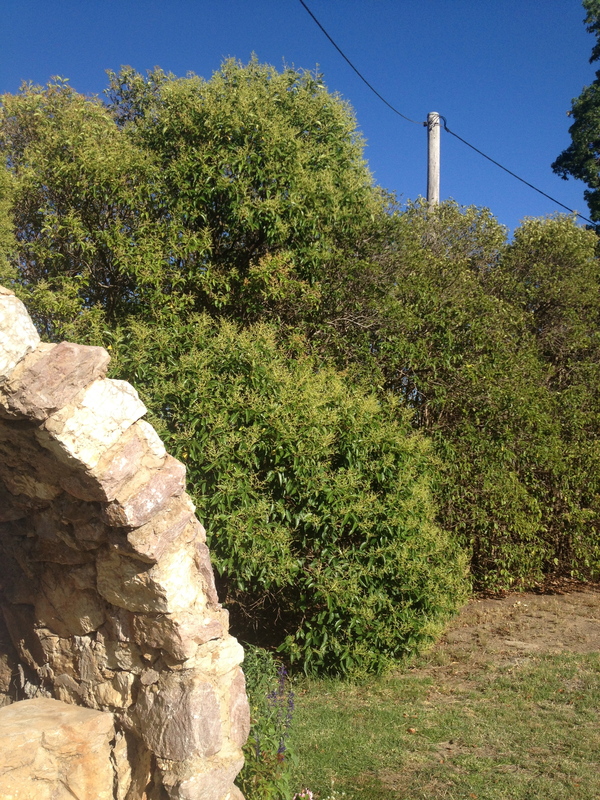 All along one side of my property, next to the old high galvanised iron fence, is overgrown privet. It’s seriously overgrown and in some places almost reaches the power lines. I was surprised when a local told me it was once a neatly trimmed hedge regularly maintained by the school boys as part of their gardening duties. I suppose it stopped being trimmed when the nuns moved out in the ’70’s and now has become an unattractive leggy mass of shrubbery. 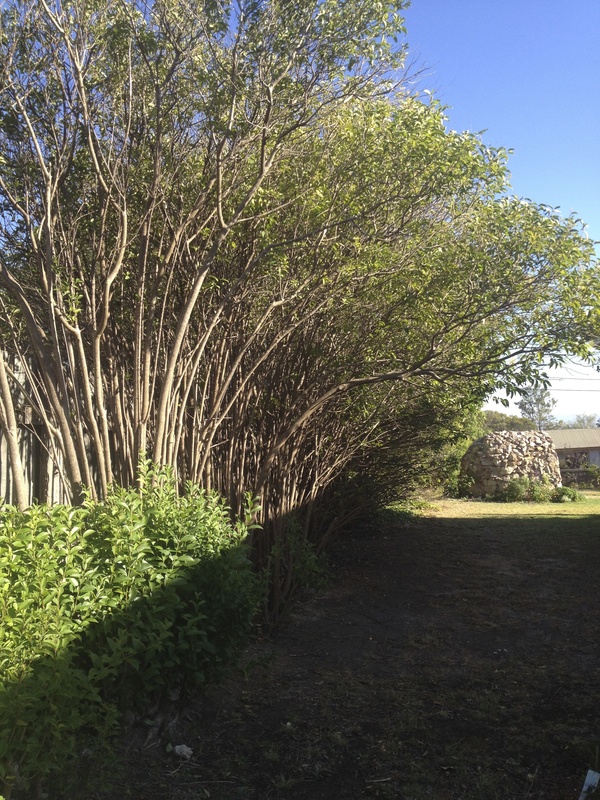 The fence would be very bare with it removed and I’m not sure how tough I would need to be to kill privet that is so established. I’m sure I’d need masses of weed/plant killer to have any impact. I also know that it provides protection for birds and lizards (particularly the bluesy) so am keen to retain some of their environment. Instead, I’ve been experimenting to see if I can pull it back to something like its original design, with enough success to tempt me to take it further. Last summer’s experiment seems to have worked. Hope the rest of it ends up something like this. Last summer I had a bit of a trim of one section and cut it down heavily. 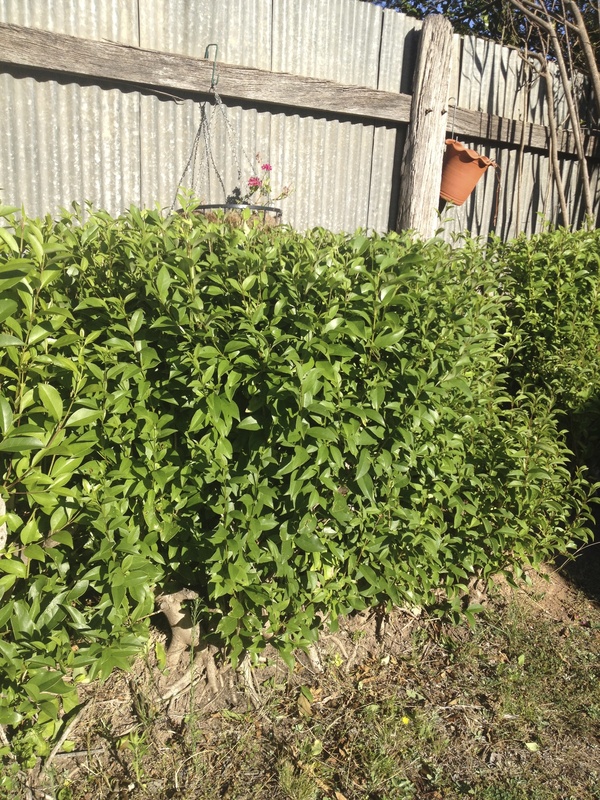 It has now reshot with gusto and after a few trims looks like it will happily go back to being a more structured hedge. This weekend I’ve decided to abandon the lopping saw for the local handyman and a chainsaw. One of the biggest headaches is also removing the branches so a trailer helps here. I’m betting more than the two estimated trips will be required! I’m not brave enough to see it all go at once, but I think we should make inroads to at least a third for now.